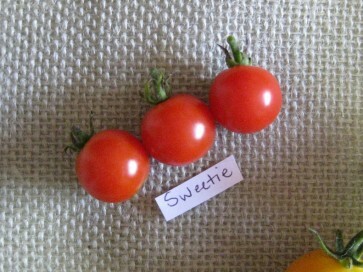 Sweetie produces very sweet, red, round, cherry-type tomatoes up to 1" in diameter. 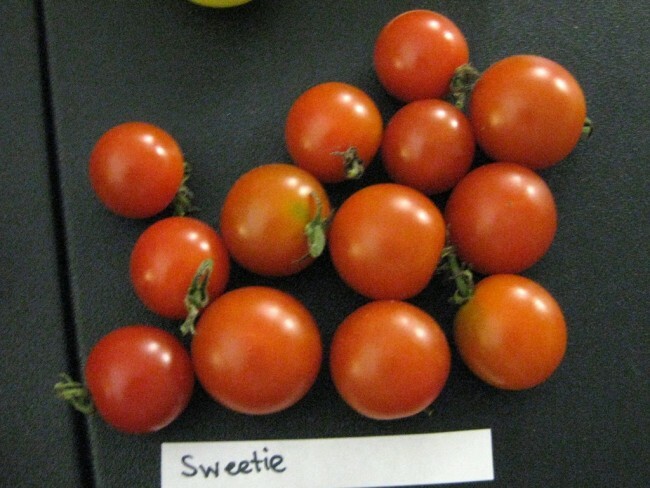 Sweetie produces very sweet, red, round, cherry-type tomatoes up to 1" in diameter. This variety's high sugar content makes the fruit a good choice for juice or preserves, and is ideal for eating fresh, canning, and in salads or relishes. It is resistant to alternarium stem canker.